There are numerous benefits to adding a performance exhaust system to your vehicle. These benefits can be fitted under two categories: vanity and performance. Many people consider the vanity benefits – the increase in sound and style, but they don’t consider what a new exhaust system can do for their engine’s performance. Installing a performance exhaust system will not only make your car look cool, it will help it to run more efficiently. Read on for a deeper dive into some of the benefits you’ll receive if you decide to install a high performance exhaust system in your vehicle. Installing a performance exhaust system will give your exhaust a more aggressive sound. You know the one — deep, rumbling and super cool. Depending on the exhaust system you choose, the sound will vary. A performance exhaust system sounds stronger and more powerful than most stock systems. This rumbling sound is created through using slightly larger pipes than your average stock model. The exhaust system’s job is to remove dirty air from the engine. Your vehicle’s stock exhaust system will do the trick, but it won’t look very cool doing it. Adding a performance exhaust system will improve the overall style of your vehicle. Whether it’s steel, aluminum or some other material, an aftermarket exhaust system will leave your vehicle sounding and looking like a race car. As stated above, your exhaust’s’ job is to remove dirty air from the engine. A performance exhaust system simply does this job more efficiently. When your engine can breathe better, it is able to draw in more air with each cycle, thereby increasing the power of your engine. A lot of vehicle manufacturers are looking for the biggest bang for their buck when it comes to the parts they install in their vehicles. This means that while these parts do the job, there is usually plenty of room for improvement. 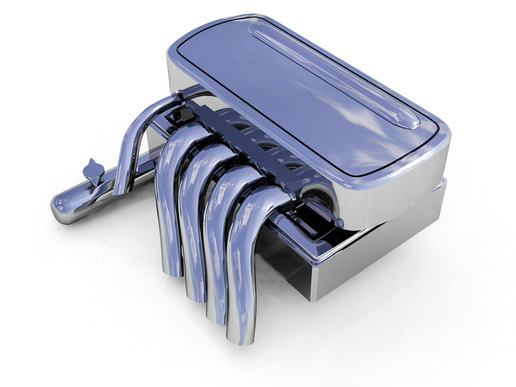 Performance exhaust systems help to maintain optimal air levels inside your vehicle’s engine. These optimal levels then reduce the need for your engine to consume extra fuel to compensate for dirty air levels. Some people note seeing increases in fuel economy of around 1-2 percent after installing a high performance exhaust system. A high performance exhaust system is a great addition to any vehicle, whether you are looking to improve its appearance or performance. The expert team at Park Muffler has years of experience, and will help you get the most out of your vehicle. Contact them to learn more!